The education programs that the Duval Soil and Water Conservation District help to build and fund are some of the most important projects we do all year. Not only do these educational programs attract interested students through extra curricular school programs, but they also fulfill the mission of the board by educating future generations of stewards to our land. Through the Envirothon, Speech Contest, Poster Contest, and Land Judging, we are able to annually reach hundreds of students in K-12 with conservation information. Additionally, we recognize teachers through our Conservation Teacher of the Year award. Florida Envirothon, and the state winner competes at the National Envirothon. 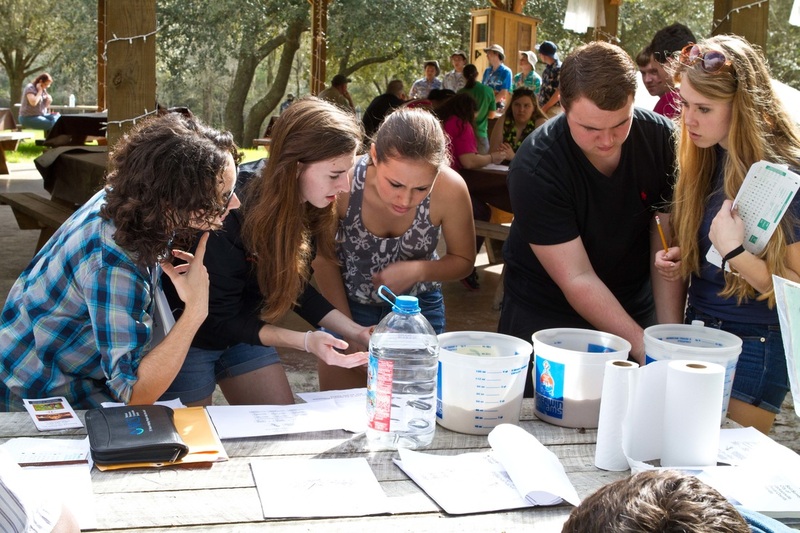 For information about the next Envirothon, visit the Duval County Envirothon Facebook page. Contact Dan to learn more about registering a team, and get educational resources online. Each year a topic is chosen nationally for a speech and poster contest, and adopted locally. The 2015 topic was "Local Heroes: Pollinators". The 2016 topic will surround "Invasive Species". Students from the 6th to 12th grade qualify to compete at the local, regional, and state competitions. The winner in Duval County will be chosen to compete in the Area II statewide competition which includes Santa Fe, Hamilton, Lafayette, Madison, Suwannee, Dixie, Gilchrist, Levey, Taylor, Alachua, Baker, Bradford, Clay, Marion, Putnam, Duval, Nassau, St. Johns and Volusia County. This competition is for 4-H and FFA students between the ages of 14 and 18, or schools with affiliated programs. The students judge, as individuals and as a team, the physical properties of the soil, identify improved land management practices for various types of farming, and judge the limitations of the soil for home sites. The winning teams from local contests are eligible to compete at the State Contest, and the state winners compete at the National Contest in Oklahoma each year. In 2015, Duval County had one competing team from Frank H. Peterson Academies. Contact Ed if you are a teacher, student or leader looking to learn more about forming a team.